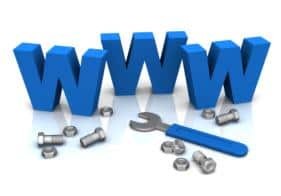 Part of your website production plan is to determine what features you need to include to make your website work for you. In today’s topic we are going to identify the 5 essential website features you can’t afford to lose. Though it may take time to plan an out-and-out website design with all the right elements carefully balanced, but with these 5 essential website features at your disposal, you will have equipped your website with an assembly of robust online marketing campaign strategies. What does a social sharing button do to your website? Well, of the 5 essential website features you can’t afford to lose, only the social sharing button has the capacity to quickly bring your site to social media exposure, such as, Facebook, Twitter, LinkedIn, Youtube, etc. Here are the details on how this feature can help your website. Provides a way for visitors of your site to share your content to their friends. The share count, which is the number of times people share your content, helps visitors gain an impression of how excellent your contents are. It is a perfect SEO tool for promoting your website rank in the Google search. People don’t like complexity when sharing a content they like, let alone composing emails and sending links. Why bother going through a long process when a single-click solution is available. That’s the capacity of social sharing buttons. A common saying, which circulates among internet marketers, goes, “the money is in the list”. They are referring to email subscription list – how many email subscribers do you have in your list. It’s every website owner’s expectation for every visitor of their website to buy something they offer or, at least, fill up their contact form. But if your visitor just walks out without accomplishing anything during their visit, then it’s a pitiful waste of opportunity because securing your visitors contact information means you will have a way to contact him/her again to explain and sell your products or services. So, this definitely count as one of the 5 essential website features you can’t afford to lose. Mobile website is gaining momentum now that the market is trending with mobile smartphones capable of browsing the web, creating emails, entering social networks, watching online videos, and the list goes on. The fact is, smartphones are ubiquitous. It is estimated that mobile market is climbing beyond 300% annually. Creating a mobile translation of your website right from the start and adding more attraction with a mobile web app ready to go, will instantly place your website at the hot seat of 5 essential website features you can’t afford to lose. This is true because mobile websites give a smoother flow for interaction, which leads to an enhanced user experience and eventually more site visits. There’s no doubt incorporating a blog section into your website can boost your search engine ranking as blogs offer a smart way of getting your website contents updated all the time, on a regular basis. Search engines highlight the enormity of good quality contents. It is through contents that validation, in the form of links, from other relevant sites happen. This is how your website gets promoted. 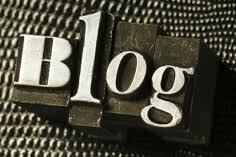 Listed here are the important characteristics your blogs should have. Without blogs, high quality contents cannot find its way into your site. So, this feature is certainly one of the 5 essential website features you can’t afford to lose. Landing pages directs visitors to your website page that concentrates on sales message – nothing more – to give your visitors a direct idea of what your website is all about and most importantly, what you are offering. Landing page templates are suitable when you are monetizing your site using Google AdWords. Rather than directing ad traffic to your home page, you can divert it to a page fashioned with beautiful alluring sales message. Using this technique increases your leads and conversion to sales. As an internet marketer, this is the main point of having a website to gain profit. Thus, this feature definitely belongs to the 5 essential website features you can’t afford to lose.